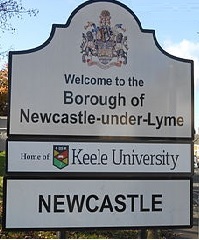 Newcastle under Lyme is a well regarded place to live, and for many good reasons. It's got a lot going for it to suit all ages but particularly the more senior members of society who are in retirement. Being smaller in size than a family-sized home, an independent living flat, whether it is one or two bedroomed, is much easier to look after, because maintenance is taken care of by the complex management, and also because the gardens and grounds are all beautifully landscaped and without you needing to lift a finger! 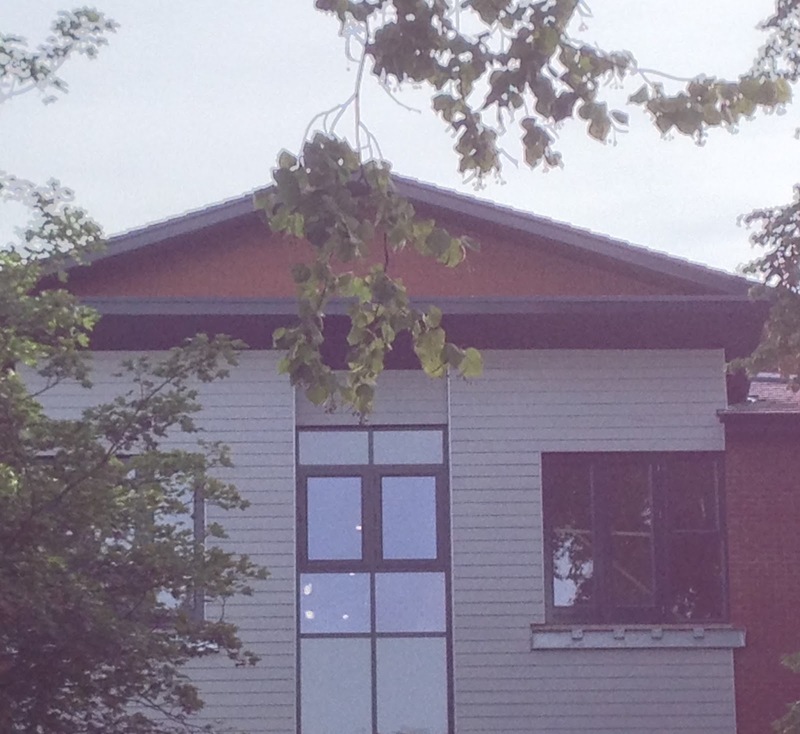 Private apartments in Staffordshire are indeed rare. And those lending themselves to a perfect retirement situation - with the added advantage of an adjoining place for the family (or carer) ... even rarer. All the senior living apartment complexes in the Newcastle under Lyme area have all been built in the last couple of decades, so benefit from enhanced insulation and modern central heating, so keeping warm in winter won't be nearly as expensive as an older home. Compared to a larger residence where a widow or widower may be living alone, apartment living has the option of being more socially involved with other residents as they have organised activities and clubs that you are free to join in with or not, as you choose. In this way, isolation and loneliness won't become a problem. Most complexes have been sited near to a hub of local shopping facilities or on the bus route to them, so it makes life easier for getting around even if your mobility is not as good as it was. A few also have their own minibus for shopping trips or days out, so you don't even need a car. If there is a requirement for additional support needs, then staff within the homes can attend to this for you. For example managing financial affairs, personal care needs or cleaning, laundry or shopping tasks can all be dealt with for a small extra fee. The available flats in the Newcastle under Lyme area consist of both those for purchase as well as rental. There are also part-buy flats through housing association managed complexes. Let's look at a couple of the newest developments. The most recent private complex with apartments for sale is Rykeneld Court in Wolstanton. Probably the most well known provider of retirement housing for the over 50's, this is a McCarthy and Stone development and is very nearly sold out. Situated facing the Marsh in Wolstanton this apartment complex consists of 18 one bedroom and 13 two bedroom luxury apartments. There are 4 x 2 beds still available which are priced from £216,500 to £231,500. There are more 1 bed apartments available which are priced from £171,500 to £176,500. The video below shows a computer animation of what the development looks like, including the grounds at the back, but you can visit the complex when it officially opens on Saturday 10th September with a champagne tour. You can book your place by emailing the office with the Subject Line "Sparkling Opening RSVP"
These apartments are obviously for those downsizing from a larger family home, where room sizes tend to be larger. For this reason a new start in a new home can bring the opportunity for a fresh start with a space saving lounge chair to match the decor. As the best known provider of special chairs and adjustable beds Castle Comfort Centre is just around the corner from this development at 50 High Street, Wolstanton, Newcastle under Lyme. So it's really handy for picking up any mobility aids you might need. Call in for some simple advice, a replacement ferrule for your walking stick or to try out any of the comfortable furniture or beds. Wolstanton really is the place to be! For those not looking to buy their own apartment, then renting is the option, so nearing completion, again not far from the Wolstanton showroom is the Shire Living complex named "Beechwood" in the Brampton on May Place. This is a bigger site than the McCarthy and Stone complex at Rykeneld Court and has about double the number of flats available. It has 65 apartments in all - 37 x 2 bedroom ones and 28 x 1 bed apartments. These retirement apartments for rent are priced approximately at £114.23 per week for 1 bedroom + £81.51 property service charge + £18.24 per week lifestyle charge + £20.34 for utilities - so for around £225 a week you can rent an apartment in the Brampton. You would only need to add council tax, broadband and telephone to this. These apartments are suitable for those over 55 with either a low, medium or high care need and you must have a connection to the area, either personally or with immediate family to be considered. Contemporary kitchens and an accessible shower room are part of each flat, with on-site cafe/restaurant and video entry and 24hr on call staff it is both modern and safe. To apply visit http://www.shireliving.co.uk or call 0800 0232244. A show flat will be available for viewing this month. Organised by their family this resident was very pleased to have a riser recliner chair installed in her new apartment, and because of her partial sightedness, we also went along to thank her for the purchase and gave her a new walking stick for free, as the old one had seen better days. Here's the before and after pictures below. So if you are looking to move into either of these developments we are very close by as a friendly source of information and advice on anything to do with independent living products for the elderly. If we don't stock it, we know someone who does. We hope to see you soon at either of our showrooms in Newcastle under Lyme - Castle Comfort Centre in Wolstanton, and Castle Comfort Stairlifts in Cross Heath. Call in anytime between 9.30 and 4.30 Monday through Saturday or visit our website anytime to see our full range of products. Phone ahead to 01782 611411 and by appointment we can arrange to open our showrooms outside these hours for you to make your purchases.